As tradition dictates, November hosts one of the most expected commercial events of the year; Black Friday and is just around the corner (November 24th) on which users will expect considerable discounts on every product available. The actual benefits of commercial strategies like Black Friday improve market platforms and strengthen the domestic economic market because it’s a great opportunity to encourage consumption and sales within the country. On Black Friday, thousands of companies from different industries tag along with the commercial event and offer large discounts on their goods and services. However, competition is rife. An offer can lose its meaning when another company offers a better one, and what’s more, SMBs must not only participate in Black Friday but really know how to stand out and attract consumers. 1) Plan a strategy: It’s not enough to offer irresistible discounts on Black Friday… You need a promotion strategy with a clear action plan and execution dates. You must be clear on what discounts and incentives you’ll promote, how you’re going to put them across, the digital platforms you’ll use, who you’ll target, when and why. The what, how, where, when and why questions are key to developing an action plan. Come up with answers to them while always keeping the goal you want to achieve in mind. In this case, it’s sales. 2) Research your competition and make sure to offer something really attractive: You could offer a 10% discount, but if your main competitor offers 25%… You can imagine the outcome. If you want to take the lead, look at what they’re doing and ask yourself how you can beat their discount and/or add more value (without affecting your profit margins). You could give your prospects something of value as a gift for their loyalty, or an extra incentive for them to buy more. Also, don’t forget to let your imagination roam and build your offer or promotion around a creative concept. 3) Build Anticipation: Teaser campaigns are wonderful for building your target audience’s curiosity. Don’t reveal your discounts, offers or incentives too soon… Let your prospects discover what they are as anticipation builds. They should be interested and intrigued to find out what you’ll offer them on Black Friday. There are several examples of clever, catchy strategies where they invite their prospects to go to Snapchat to discover what the 10 star products reduced to $10 USDare. 4) Send your prospects emails: You can send a few emails before Black Friday (to build anticipation), and other reminders before the day arrives. Once they open your email, there must be something of interest for them to look at and read… The body of the email must be pleasant to look at, and easy to read and scan. Use short paragraphs, bold letters, headlines, subtitles, vignettes, images, and of course: good copywriting. 5) Take advantage of the power of social networks: There is no doubt that you need to be where consumers spend most of their time. Where’s that? In this digital world, it’s on social media. Join the conversation and interact with your audience. Include the most relevant hashtags (e.g. #Black Friday and #BlackFriday2017) on your posts, so that prospects looking for discounts and deals on Black Friday can easily find you. 6) Let digital advertising bring you the clients you need: Digital advertising no longer has to be complicated. And it can give you the results you’re hoping for. 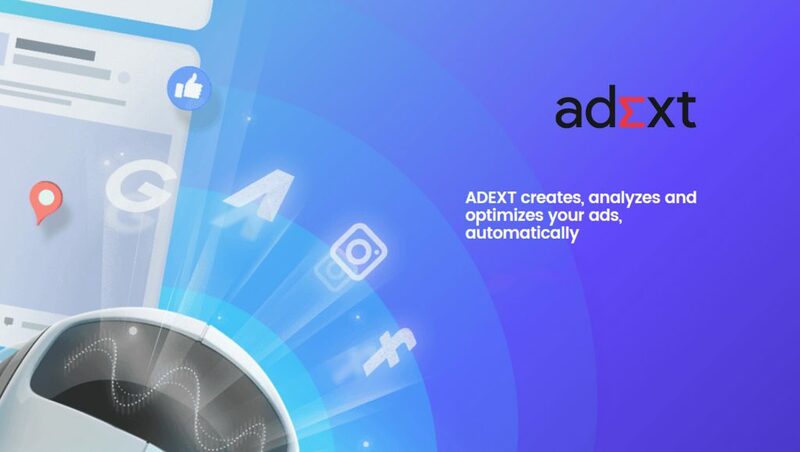 Now there is Adext, the first Artificial Intelligence platform in the digital advertising space that can automate the entire process of creating, managing and optimizing your ad campaigns on Google, Facebook and Instagram.